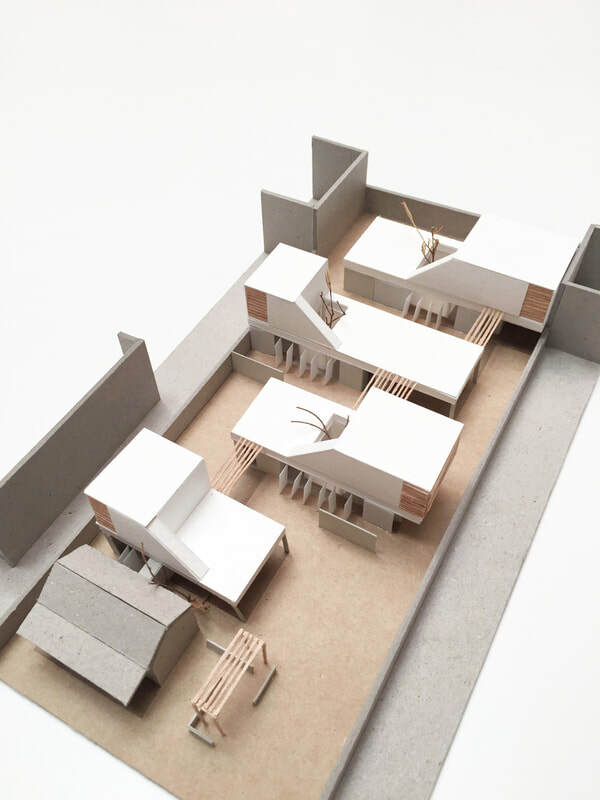 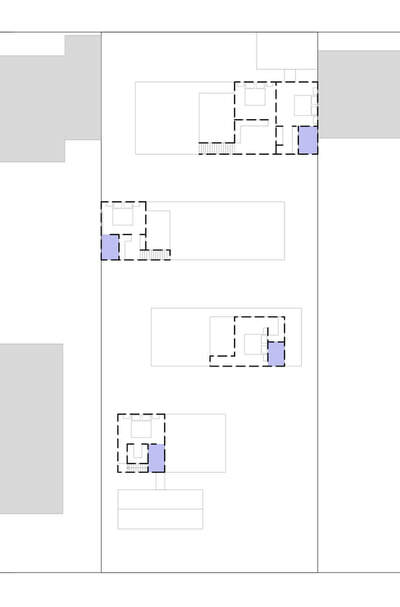 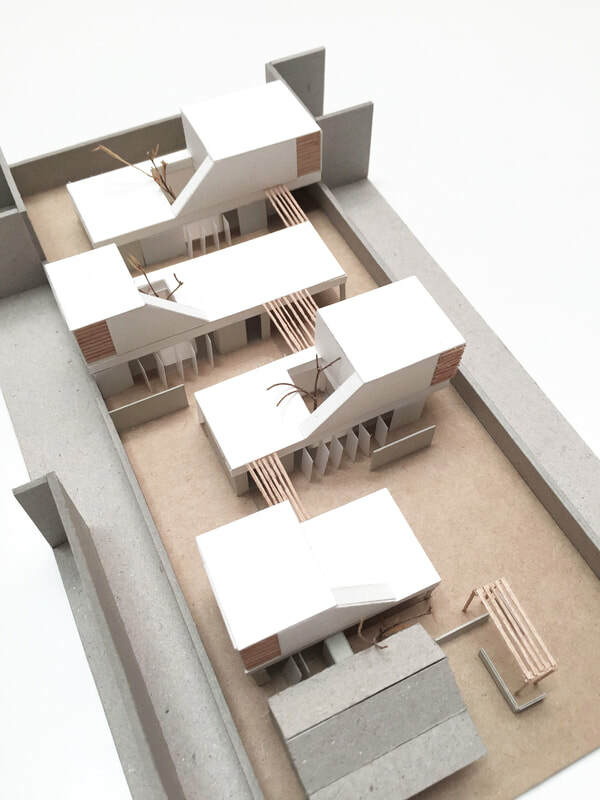 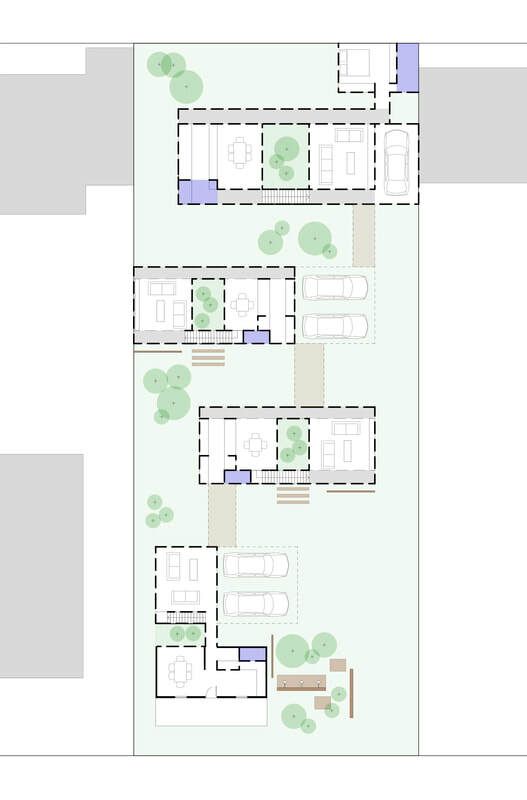 A project that investigates alternatives to traditional grouped housing typologies. 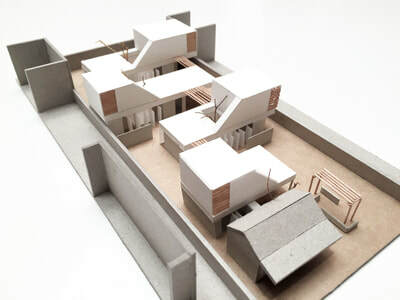 A mix of four dwellings (1 x full size dwelling, 3 x 1-bedroom dwellings) clustered on the site and designed so as to remove the need for dividing fences without compromising privacy for the individual dwellings. 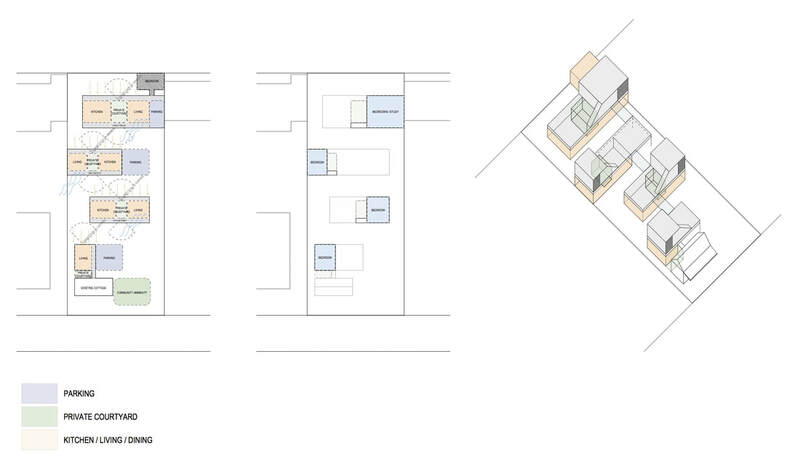 Each unit has a central private courtyard, as well as dedicated external space flanking its perimeter. However, the flanking space can be traversed by other residents, with the potential for complementary uses (eg: Unit 1 has a communal veggie plot, Unit 2 offers play equipment to all, Unit 3 has a plunge pool, while Unit 4 an communal BBQ. 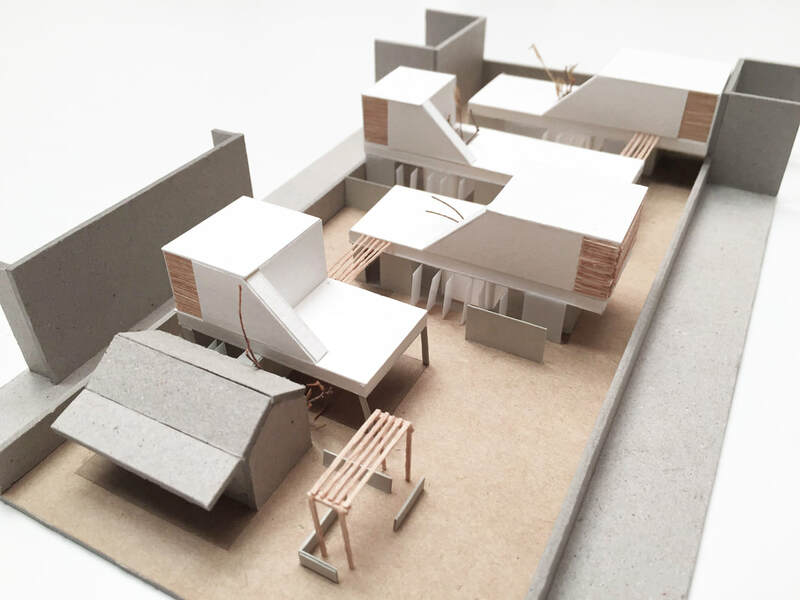 Rather than a traditional driveway, vehicular access is provided via a variety of trafficable surfaces, designed to support other uses when cars are not moving across.